So I used an old trick, we all know, I guess. The freezer trick! I covered the Sunvell T95P in a soft linen towel, and put it in the freezer for around 3 hours. After that, it really worked like nothing happened before. There is also the old fascinating hairspray trick for “boards”… That could have been of help in some cases, but I couldn’t find a way to open this box without it being damaged for good. IPTV 2.4G WIFI Set-Top Box Media Player – intl? Where? Could’t find any! 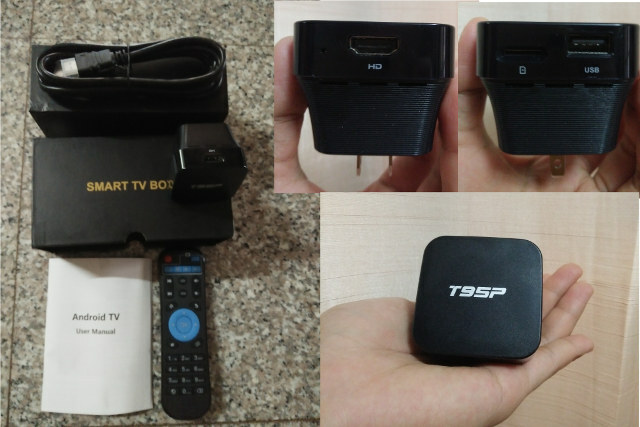 The package contains T95P TV box,, a remote, one HDMI cable, and a user manual. The delivered manual is not really useful, as it’s for another Box, but it tells you not for which one exactly. It comes with 4 pages in total, telling you how to plug in the non-existent LAN Ethernet cable, or the non-existent portable Hotspot. 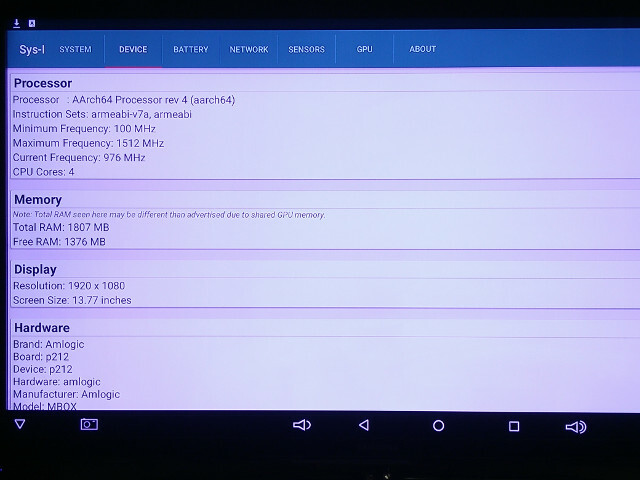 The box support 86 Languages (All European and Asian Languages), runs Android 6.0.1 with T95 UI, Google Play Store. 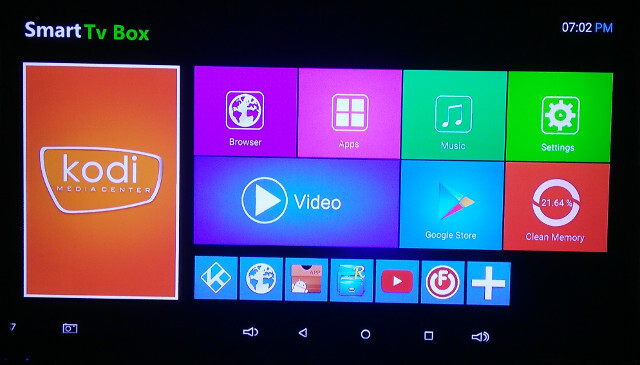 Kodi 16.1 and a TVAddons are also installed. Nothing special so far. The T95P automatically turns on when it is powered on. The system is quite unstable, and regarding the temperature, I measured an amazing 83-88 degres Celsius max. with my infrared laser digital temperature thermometer Gun. Not much more to say, I guess! It can play certain 4K videos but not on a very high fps, tested on some IPTV Streams in 1920×1080 and some 2400×1440 streams (the box gave up, didn’t respond anymore, and I had to unplug and wait until it cooled down! You have to purchase an air mouse, if the device is behind the TV or in none-direct sight position! Last but not least, for my taste pricey! GearBest provides the box for review, and they are offering this box for about 49$ shipped. Unsurprisingly, different stores are offering huge discount right now, and at one point Banggood sold the box for $29 (now out of stock), but even at this price, it’s not worth it. Hahaha … cool, honest review. Thank you. Can you elaborate on what you meant by “hairspray trick for “boards””? Hi Ray Knight, sure. There are sometimes micro-fractures on boards, connection problems and other issues. If you give a few “layers” of REAL HAIRSPRAY”, “aerosol” and NOT “non-aerosol” ones, on a motherboard, it can “cover” or bridge in some cases electronic sources of error. I have done this in a few cases successfully. Can you explain how the freezer trick works too? Hi theguyuk, many versions possible with the freezer trick, also for recover older Laptop batteries, HDD’s, etc. Place the wrapped hard drive in the freezer. Leave the hard drive in the freezer for at least 12 hours. Then connect the drive to the computer and start copying data. Please be adviced, at some point, the hard drive will fail again. A number of studies have shown that storing batteries in the freezer helps them retain their charge longer. This is less true for alkaline batteries (freezing extends their shelf life by only about 5%) than it is for NiMH and Nicad batteries often used in electronics. Keeping NiMH batteries in the freezer can boost battery life by 90%. Step 1: Take your battery out and place it in a sealed Ziploc or plastic bag. Step 2: Go ahead and put the bag into your freezer and leave it there for about 12 hours. Some people suggest leaving it for longer, but I wouldn’t leave it for more than 24 hours. Step 3: Once you take it out, remove the plastic bag and let the battery warm up until it reaches room temperature. Be sure to wrap it in a towel and wipe away any condensation as it warms up. Step 4: Reinsert the laptop battery and charge it completely. Step 5: Once charged, unplug the power and let the battery drain all the way down. Try first in steps of 3..4..5..6..hours in the freezer. Wrapped in a soft linen. No doubt those selling this awful android device are going to get many around the world to part with their hardearned cash. Regarding batteries, it’s even a good thing to keep unused Lithium batteries in the fridge, it stops them from degrading over time due to heat. All common batteries are based on a reversible chemical reaction. Low temperature slow down chemical reactions. Freezing batteries may lead to crystalization and fracturing of the electrolyte matrix leading to problem s. I would not routinely freeze batteries. Occam, yes, but Willy spoke about Fridge, not Freezer, and from me all above meant for already damaged HDD’s, expensive Batteries, like Laptop-Mobile-etc, which are making troubles, etc..in such cases it’s worth a try, nothing to loose, only to win. Why not use a desktop fan to blow on the plug to cool its temperature?